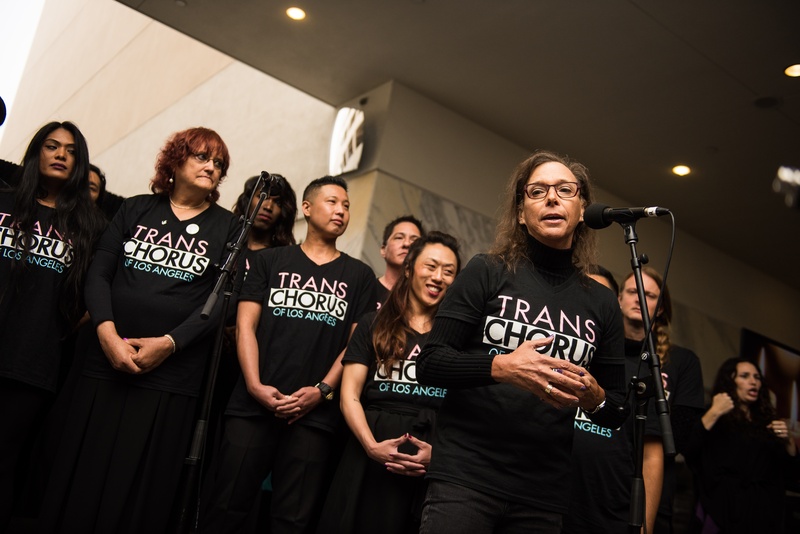 When it comes to creating safer choir spaces, it is important to consider the needs of your transgender singers. For trans singers, walking into a rehearsal space that isn't welcoming can be harmful to their well-being. As an artistic director, it is important to know how to work with trans voices and how to create an affirming environment that welcomes people of all gender identities. 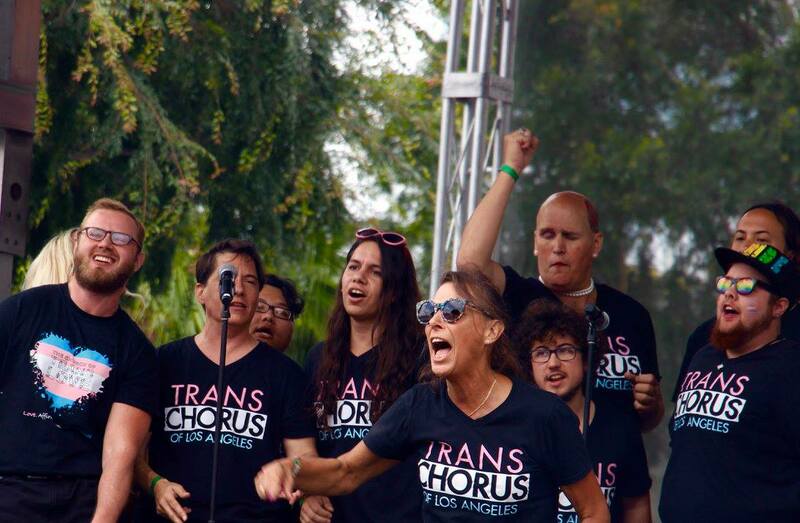 In this article, Lindsey Deaton, Founder/Artistic Director of the Trans Chorus of Los Angeles, sheds some light for artistic directors looking to be more trans-inclusive. When auditioning new singers, Deaton says you should "never ask how anyone identifies; how someone chooses to identify or express themselves is completely up to them. But do ask, 'what pronouns would you like to be used?'" If you have an audition form, create a blank space for singers to fill in their gender pronouns. Always ask and never make assumptions! Be mindful when auditioning singers for potential vocal register changes. Deaton states that simply asking "are you expecting a vocal change in the next year or so?" can help you correctly place voices by their registers and keep all singers in a healthy vocal range. If a vocal change is expected, consider checking in every few months to see how the singer's voice is developing. As we work towards a more gender-inclusive norm in our choirs, Deaton emphasizes the importance of "always addressing the group by section names like 'basses' or 'sopranos' and never by 'ladies,' 'guys,' or 'gentlemen.'" It's easy to fall into this habit, but also easy to change with a concerted effort! Not all transgender individuals will choose to utilize hormones as a part of their medical transition, but their use may affect vocal cords. For singers on testosterone, their vocal chords may thicken which lowers their vocal range. This change is reminiscent of a young man experiencing puberty. For singers using estrogen, there is no effect on the vocal chords. Instead, some trans women train themselves to speak and sing at a higher pitch, sometimes even in falsetto. This can require specialized vocal training. Trans adolescents and youth who have utilized puberty blockers and take affirming hormones should experience vocal changes similar to their cisgender counterparts. There aren't many vocal coaches who specialize in the changing adult voice. Some transgender singers seek a speech pathologist to help them vocalize and adjust to their new vocal range, but speech pathologists do not always work in a musical setting. Deaton truthfully jokes that "middle school music teachers are the ones who understand a changing voice the most!" As artistic directors, it is our job to understand how the vocal change process works and how to incorporate appropriate warm-ups and repertoire for these voices. When choruses label themselves as "men's" or "women's" chorus, this can inherently exclude those who do not identify with the binary, such as gender non-conforming/non-binary singers. In order to create more inclusive men's and women's choirs, adding a statement to audition postings and your websites that explicitly affirms that transgender and gender non-conforming individuals are welcome goes a long way. For trans singers who do identify within the binary, the challenge primarily lies in the vocal register. If you are directing a "women's chorus", typically that means you work with treble voices or high-voiced repertoire. So while a trans woman fits the identity and requirement for acceptance into the chorus, their voice may be significantly lower than the repertoire allows. Artistic directors then face a challenge of wanting to be trans-inclusive but dealing with repertoire that hasn't caught up yet. Deaton says the reality is that "for a women's chorus to be truly trans-inclusive, they would need to accept lower voices like tenors and basses." This raises a series of questions for choir directors. How do we adapt existing repertoire to include lower/higher voices? How can we ensure the best vocal health for our trans singers with our existing repertoire? How can we work towards creating repertoire that fits the needs of trans voices? These are questions that may not have immediate answers, but something that we need to be aware of and work together to find a solution! On a non-musical level, there are steps a chorus can take to make the space safer for trans singers. Examples include adding gender pronouns to chorus name tags, considering different concert attire options, posting gender-neutral bathroom signs at rehearsals and performances, and, as Deaton suggests, participating in community outreach with trans-centered organizations. If you have trans singers in your chorus, try getting the chorus participating in community outreach projects with organizations like the National Center for Trans Equality (NCTE). Also, consider how your chorus can play a role in the days that celebrate, honor, or remember trans lives such as the Transgender Day of Remembrance on November 20th and the International Transgender Day of Visibility on March 31st. Transgender singers have specific choral needs and we should work to make our existing structure conducive to trans voices. Deaton eloquently wraps up with, "Everyone deserves to have a safe space and part of the cultural change is creating safe spaces for everybody everywhere."